And then there was only one Big Four broadcast network without a star-studded singing competition series. That would be CBS after ABC announced Thursday that it will launch Duets this summer. The show's four "chart-topping superstars," who include inaugural American Idol champ Kelly Clarkson of Burleston, will "individually set out on a journey across America looking for undiscovered talent worthy of being their proteges," ABC says in a publicity release. 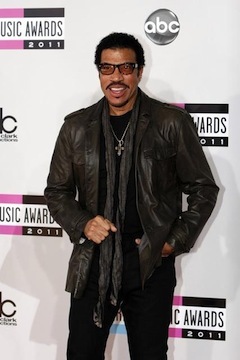 Besides Clarkson, the competing stars are Lionel Richie, Robin Thicke and Jennifer Nettles. Says Clarkson: "The simple fact that I get to go out and find two people that I believe in, sing with them every week, and help them accomplish their dreams is an amazing thing that I can't wait to be a part of." Clarkson lately also has appeared on NBC's hit singing competition The Voice, serving as a guest mentor. Her original starmaker, Fox's Idol, lately has been surpassed by Voice as prime-time's most-watched series. Fox also has Simon Cowell's The X Factor, which will return in the fall with two new judges and a pair of new hosts. ABC says that the winning amateur competitor in Duets will win a recording contract with Hollywood Records. Those interested in auditioning can go here for more information.